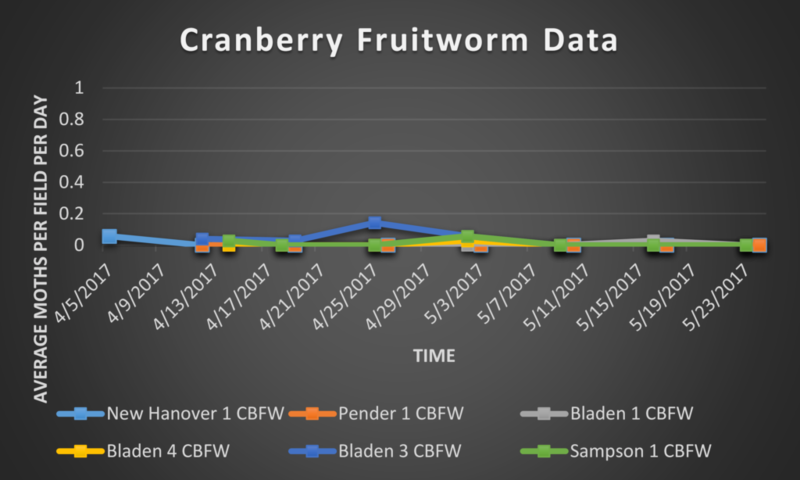 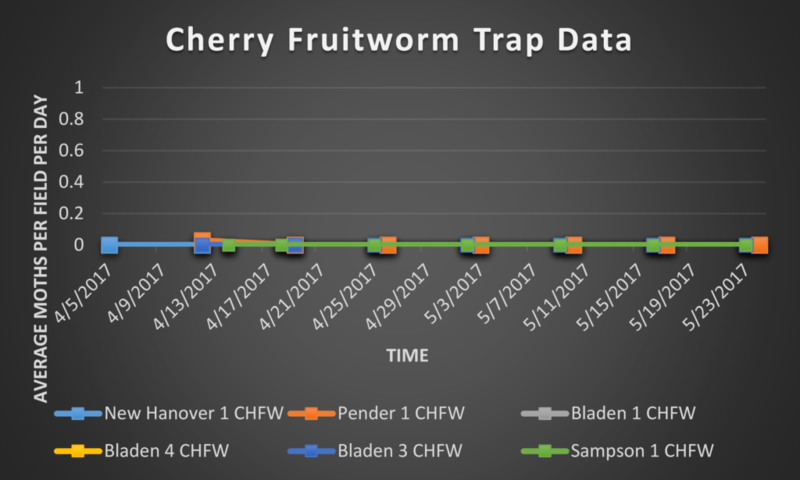 After the small surges in spotted wing drosophila trap captures at New Hanover 1 and Pender 1 the numbers appear to be dropping back down to levels similar to the other sites. 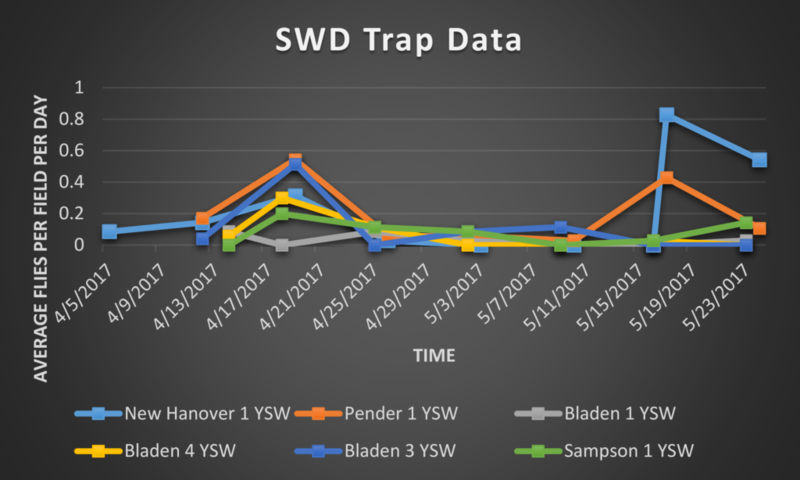 With the rainy weather throughout the last week we expect trap captures of SWD at all sites to show at least a small increase next week. 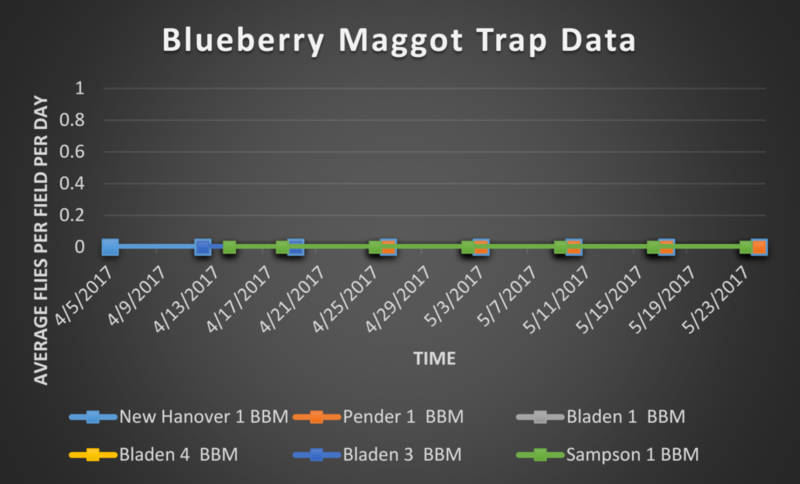 During this trapping period, 19 SWD were captured at New Hanover 1, 3 SWD were captured at Pender 1, 0 SWD were captured at Bladen 3, 1 SWD was captured at Bladen 1, 0 SWD were captured at Bladen 4, and 5 SWD were captured at Sampson 1.